Being the son of the incredibly talented Serie A icon Enrico, Federico has a lot to live up to but he is certainly giving his all and is showing all the right signs that he has the ability to become an Italian football great and maybe go on to replicate his father’s outstanding record and career. 380 Serie A matches and 138 goals is the target set by Enrico, Serie A player of the year and 6 major club honours along with being remembered as one of Italy’s greats. Chiesa junior has inherited some of his father’s footballing talent; the pace and work rate of both players is comparable; however, Federico has chosen to show his skills off from the wing rather than make the striker position his own like Chiesa senior. From the wing position Federico has hit the back of the net twice so far this season, one goal being a super strike against Atalanta. As well as it being a great goal, there was something uncanny about the moment the young Chiesa put his team into a 1-0 lead. 24th September 2017, Federico Chiesa puts his team in front in the 12th minute with a shot fired from the edge of the penalty area, right hand side, into the top corner of the net. Sixteen years earlier, same fixture and in the same minute, Chiesa senior scores an almost identical goal, he hits the back of the net, right side of the penalty area – pure coincidence or perhaps an omen? Either way, Federico looks to have inherited his father’s talents and is well on the way to becoming a Serie A star – well, if he can reach 300 appearances that is. A home-grown player, Italian, and an exciting prospect, this is the sort of footballer Fiorentina fans will take to their hearts, the supporters especially pleased when he signed an extension to his contract keeping him at the club until 2021. However, a move to the Premier League has been mooted with Chelsea, Manchester United and Liverpool reportedly keen on signing the young winger, so it will be interesting to see if Chiesa will stay loyal to the club that he has been at since the age of ten and who gave him his opportunity in the first team, or will one of England’s top teams prize him away from Serie A? He may need to prove himself a little more before the rumored moves become a reality, Fiorentina would demand a huge fee for their young player, but it may be a transfer worth risking for the big clubs, judging by his style of play, Chiesa junior would do well and relish the fast paced, energetic English league. This flourishing youngster has already made his international debut at under-21 level, a call-up to the Italian first team cannot be far away as the rise of Chiesa junior continues. There is a long way to go before he can hit the heights of his father, but Federico is undoubtedly turning heads with his attractive attacking play. 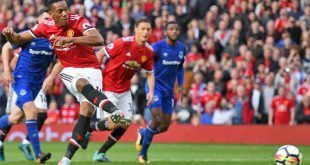 He would certainly like to add more goals to his game, four last season and two so far this term is one area to improve, but this hardworking determined player has the ability to achieve this and more. 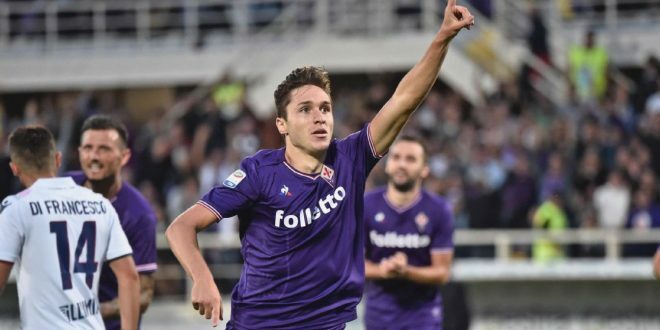 For Chiesa the second, stardom is set to beckon, it is just a question of whether he will ‘keep it in the family’ and become a Serie A great like his father, or if he will make a name for himself with a move to a top club in Europe.